"I know you were in my apartment, Walter." 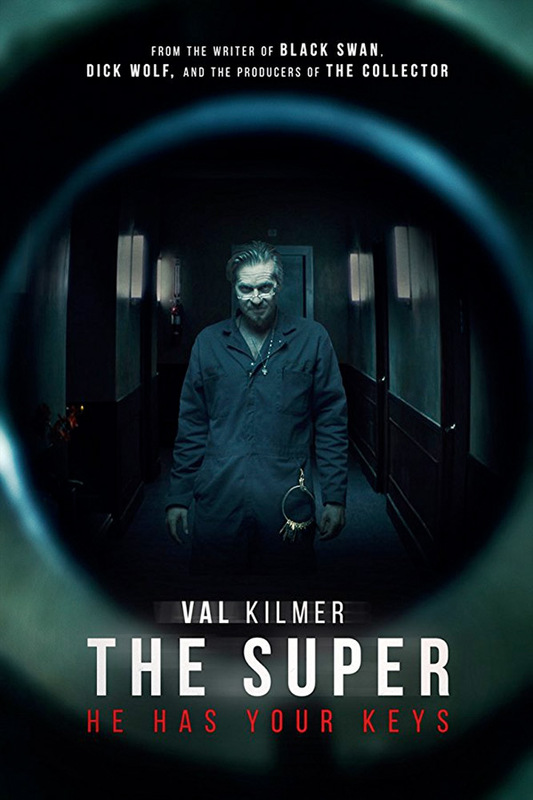 Saban Films has debuted a new trailer for a horror thriller film titled The Super, from German director Stephan Rick. The film is about a former cop who becomes the superintendent of a large New York City apartment building where people mysteriously go missing. The screenplay is by John J. McLaughlin, one of the writers on the Black Swan script, as well as Hitchcock and Parker. Patrick John Flueger stars as Phil Lodge, who becomes the new super. The full cast includes Val Kilmer, Louisa Krause, Mattea Conforti, Taylor Richardson, Paul Ben-Victor, Yul Vazquez, Andrea Lynn Green, and Travaris Spears. I'm not really sure why Kilmer looks so much like Al Pacino in this, but I don't mind really. I just wish this looked better than every other apartment horror film before. Former cop Phil Lodge takes a job as a superintendent in a Manhattan apartment building. When a teen goes missing, along with several other tenants, Phil suspects a sadistic murderer may be roaming the eerie corridors and that his daughters' lives are in danger. But who can he trust when everybody around him has something to hide? The Super is directed by German filmmaker Stephan Rick, director of the films The Good Neighbour and The Dark Side of the Moon previously, as well as a few shorts; making his first English-language film. The screenplay is written by John J. McLaughlin. This premiered at the Sitges Film Festival last year. Saban Films will open The Super in select US theaters + on VOD starting October 19th.